This delicious fruity shake is a refreshing break from the ordinary. 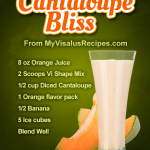 It is similar to an orange Julius and is a unique way to enjoy some fresh summer melon. 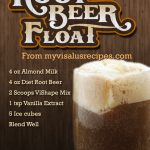 Continuing the summer theme, the Root Beer float Body by Vi shake is a classic American treat. Only this one, you don’t feel guilty about! The Piña Colada Visalus Shake will make you think you’re on a tropical beach relaxing in paradise. Great for the summer or all year ’round! 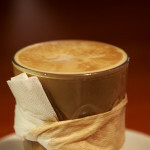 The Cherry Mocha Latte shake is another crowd favorite. 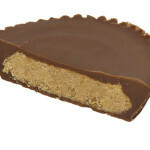 It makes a tasty pick-me-up in the morning or a nutritious treat later in the day. 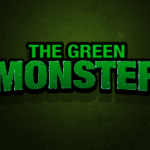 Try it and see what all the fuss is about! 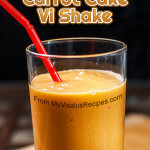 This is quickly becoming a classic Body by Vi Shake. This one must be on your go-to shake list. 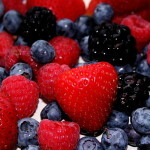 Refreshing blast of berries to get you going. Plus, it’s high in antioxidants! There’s no wrong way to drink this delicious shake. 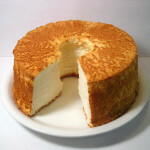 This Angel Food Cake Body by Vi shake recipe is heavenly! 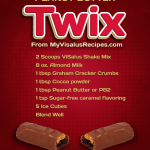 Copyright © 2013 MyVisalusRecipes. All rights reserved. Follow us on Google+.